"However, before we come to [special] creation, which puts an end to all discussion: I think we should try everything else." "Consequently, every religion has for its foundation a miracle -- that is to say, a violation of nature -- that is to say, a falsehood." "Believe me when I say that I am in the Father and the Father is in me; or at least believe on the evidence of the miracles themselves." "We know all about your mouldy wonders and your stale miracles... We demand a new miracle, and we demand it now. Let the church furnish at least one, or forever hold her peace." 13.1 Is it really necessary to believe in miracles? Second, the idea of miracles as literal historical events is a frequent reason given by unbelievers as to why they doubt the Bible. "They violate the laws of nature," and "I certainly don't see them going on today" were my own reactions. On one hand, miracles are easy to attack because no person can produce a miracle on command and settle the issue. But on the other hand, miracles are simple to defend when they are correctly explained to be the purposeful yet irregular actions of God, not actions of men. 3) just how and when miracles are recorded as having occurred. 13.2 What is a miracle? We have all heard comments like, "It's a miracle I passed that test," or "It's a miracle someone wasn't killed in that accident." This particular usage of miracle describes the occurrence of a highly unlikely or unexpected event. But the miracles detailed in the Bible are more than just unlikely events; they are specific, divine actions. 3) are rationally unexplainable by probability or natural sciences. One particular event that has all the qualifications of a miracle, and is easily acknowledged as having occurred, is the beginning of the universe. This is the first recorded action of God in the Bible. That the universe had a beginning is even officially accepted among astronomers. Nothing in nature or natural reasoning can explain how the universe (or even a pre-existent spaceless and matterless environment of quantum laws) could have been produced by nothing from nothing. It is not that the cosmos was simply an unlikely event; it was an impossible event. 13.3 Do miracles violate the laws of nature? Are we to conclude that miracles violate the laws of nature? To make such a conclusion might express a misunderstanding of what really are the laws of nature. What we refer to as laws of nature are nothing more than general descriptions of the mechanics of the universe. Furthermore, these general descriptions are relative to any particular point in time. For example, the laws of nature as defined by today's scientist look quite different from the laws of nature as defined by the nineteenth century scientist. Thus nature's laws (more accurately described as human conclusions formed from observations) are continually modified, revised, or completely rejected as our understanding of the universe grows. The physical universe may contain inalterable principles, but codifying our incomplete understanding of those principles with terms of finality such as "laws of nature" has continually proven to be presumptuous. 13.4 The ever-changing laws of nature. When an event is observed violating whatever current laws are thought to exist, what follows? Observations don't get rejected, instead the laws get revised. For it is our understanding of the universe that has just been proven inadequate and in need of rejection, not the fact or factual event that has just occurred. A good example of how laws are revised is seen in the beliefs Einstein held about space and relativity (and seen in the subsequent confirming observations). Observations of spatial relativity severely violated what, in Einstein's day, were the laws of nature - Newton's laws of motion and spatial absolutes. As background to this, recall that the 18th century philosopher David Hume had popularized his belief that nothing could violate the laws of nature. Hume's argument was made in the context of the laws of nature as they were defined in the late 1700's. Consequently, at the dawn of the twentieth century, those who blindly adhered to Hume's 'nothing can violate nature' concept were doomed to reject not only Einstein's discovery of relativity, but also Heisenberg's work in quantum mechanics, and every other notable scientific leap to follow. Eventually, sound reasoning prevailed over Hume's logic and science once again chose to append the laws of nature to account for what was legitimately observed. 13.5 Observations determine the laws; not vice versa. Observations always determine the laws; laws never determine what can or will be observed. Observations demand acceptance as part of reality even if and when they appear to violate previously held so-called truths. By accepting the legitimacy of those observations, we gain a more complete understanding of nature than if we had refused to consider anything that appeared contrary to it. The point of illustrating how the laws of nature are continually redefined is to call attention to the fact that our scientific understanding of the universe is incomplete. As such, this indicates that we cannot presumptuously dismiss the possibility that the miracles recorded in the Bible indeed occurred. Once again, miracles are not measurable, repetitive occurrences like relativity or quantum motion. The Bible's presentation of miracles is entirely to show something that is not common, not explainable, and not something that can be attributed to anyone or anything other than an all-powerful God. Miracles are atypical interventions of the living God with humanity. These can no more be repeated and proven in a laboratory than can a particular person's birth be repeated to prove that he or she exists. Following this latter practical example, what actually does constitute legal evidence of the details of a specific birth; an event for which there may be no surviving witnesses? The chief evidence is the written testimony of a birth certificate. This is really no different to the biblical authors' written testimonies of miracles. Of course, we know that birth certificates and other forms of I.D. can be falsified. So how can we tell if the biblical accounts are phony or not? The best test of miracles is not to argue their theoretical likelihood or impossibility, but to determine if they, like any other event, have been legitimately observed. 13.6 Are the reported observations of miracles reliable? 13.7 Are there extrabiblical confirmations of miracles? Can the biblical accounts of miracles be corroborated by testimony other than that of Scripture? This is an excellent question that suggests at least two objections to the idea of miracles. The two are: "The authors made up the accounts because they were biased toward Christianity", and, "If the miracles happened, why aren't they recorded outside of the Bible?" The point of the Thallus and Phlegon examples is that if Christ's crucifixion and accompanying darkness were only myths, ancient critics would not have sought alternative explanations to deny the miraculous aspects of the events - they would be denying the events altogether. A rabbinical writing, perhaps as early as AD 70, states that one called Yeshu (Jesus), "practiced sorcery and enticed and led Israel astray." 5 This is further indication that many outside of Jesus' circle of followers have associated irregular events with his person. 13.8 Why aren't miracles as frequent today as they were in the Bible? 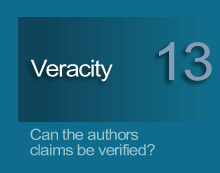 13.9 Aren't miracle claims usually doubted and go against the grain of believability? Yes and no. No in the sense that if a special act of God or a miracle were performed in a non-eye catching and naturally explainable way, we'd never know God did it, would we? But yes in the sense that miracles were and still are generally recognized to be events without natural explanations. Miracles recorded as having had many witnesses yielded both believers as well as unconvinced skeptics. The biblical authors never described miracles as the 'ultimate convincers that got everybody'. It is precisely because these impossible events are described as having been received in such a common and varied manner that these records appear more credible than if every witness had interpreted them uniformly. The New Testament documents, most of which circulated shortly after Christ's death, have many appeals to specific persons as being witnesses of the events recorded within them. Such appeals favor the belief that the biblical authors were fully convinced of the miracles they witnessed and or recorded. Believing the authors were convinced of what they saw is a more rational alternative than believing in some sort of conspiracy which began circa 1400 BC and continues today all to pass off scriptural writings as true. If there were such a conspiracy, it would have to culminate in having its entire validity based on one man rising from the dead; a detail which most people continue to reject. Thus the biblical accounts cannot be rejected on the claim that the authors were clever liars because gambling a conspiratorial pyramid of 3,400 years work on something that most people reject without consideration is not very clever. Neither can people reject the Bible and its miracle claims for the opposite reason - that the Bible's authors were either ignorant or insane. Ignorance and insanity do not explain Scripture's perfect consistency, fulfilled prophecy, and the absolute inability of the writings to be contradicted by modern archaeology, science, or history. Many people still reject the Bible, of course, but inevitably for the same non-intellectual reasons people always have: pride, rebellion against authority, and the esteeming of ourselves over others and especially over God. 13.10 But weren't people more gullible or at least more ignorant back then? When Mary, a virgin betrothed to Joseph, announced she was with child, he planned to quietly divorce her. Joseph was fully convinced, as he thought others would be, that Mary had lain with another man. There was no indication that he or anyone else was going to calmly surmise, "I guess it's just another magical, random happening in our mysterious existence." Natural explanations have always been the first resort of believers and unbelievers alike. The miracle accounts frequently state that while some believed, others did not (assume half-and-half for argument's sake). In that case, half of those who witnessed the event were not so gullible and ignorant as previously accused, were they? We are only left asking, "Which half? The half that believed, or the half that doubted?" Just as people at the time of a miracle were divided on the issue, people today are still divided over whether or not those same events happened. And the dividing line between the believers and unbelievers has never run along the line of IQs, academic achievements, or any other worldly attainments. Regardless of which half is ignorant or gullible, there seems to have been negligible change in this perpetual division since the time of Christ on up to today. 13.11 If miracles occurred, but failed to convince every witness, would that failure disprove God's omnipotence or disprove the validity of the account? Neither. The question assumes God's intent to be one of robotizing every onlooker. That was never a stated intent. Miracles were much less often performed as evidence to unbelievers as they were performed to defend, heal, love, or assure those who had already expressed faith. Because miraculous acts do not force into us what to think, God allows an ultimate kind of freedom concerning miracles. We can believe if we want, or we can not believe if we want. What more could we want? In review, we are forced by reason into acknowledging that our best understandings of nature, even as the twenty-first century dawns, are only tentative. Though we can predict the regular workings of the universe with greater accuracy than ever before, we know from past experience that our definition of the laws of nature will always be different tomorrow. Therefore, as long as humanity lacks complete knowledge of nature and of everything that can be observed, it is impossible to state with finality what cannot be observed. As a consequence, we cannot reject the possibility of miracles. Realizing that miracles could be possible, the next question is whether or not the biblical accounts of miracles are legitimate observations. While we have seen minor acknowledgments of miracles from ancient writers other than the biblical authors, one might still ask, "Why don't we see more extensive accounts with lots of names, places, and settings?" One possible reason why we don't see such accounts is that the early church did, and those accounts were compiled into what we today call the Bible. It should also be reiterated that miracles have always been rare. It is an easy error to skim through several books in the Bible and receive the impression that miracles happened right and left. In actuality, hundreds of years separate certain biblical writings. Miracles are unique historical actions of a Creator interacting with his creation. God does not vend miracles in exchange for token appeals like some cosmic candy machine, nor have miracles always been uniformly accepted by all that witnessed them first hand. History has shown that when God performs a miracle, we have the apparent freedom to believe it or not. Lastly, there is probably some specific miracle or miraculous event in the Bible of which you are either curious or skeptical. I used to have a harder time believing in the so-called large miracles (like the creation of mankind) than in the smaller ones (healing the blind). But this overlooked the fact that any interruption in the regular workings of the universe, big or small, are all equally impossible in terms of natural explanations. The miracle worth special study is the resurrection of Jesus Christ. Until you advance to that section, as foreign as miracles might seem to your current worldview, take a look at the night sky. Try to imagine the vastness of the universe and know that you share at least this one thought with the majority of the world's astronomers: there was a beginning. Everything from nothing - a miracle by every account. NEXT: Isn't one interpretation just as good as the next? Miracles are less magical and less populous in Scripture than commonly thought or portrayed. They are, however, central to belief in Christ and in the Bible overall. This section carefully explains the nature of a miracle and hopefully dispels many mischaracterizations. 3. What are laws of nature? 6. Are the observations reliable?